Intermittent fasting is the new buzz word in oncology care but which type is best? How do you do it? When? For how long? And what are the benefits? Caloric restriction (CR) is the daily reduction of dietary energy intake by approximately 30% without fasting periods. Intermittent fasting (IF) encompasses eating patterns in which individuals have extended time periods (e.g., 13-48h) with little or no energy intake, with intervening periods of normal food intake, on a recurring basis. This category is the most widely researched, and includes extended overnight fasting of 13-16 hrs (sometimes referred to as time-restricted eating) non-consecutive or alternate days of 60% restricted caloric intake (such as the 5-2 diet) non-consecutive or consecutive days of water-only fasts with no food intake. Periodic fasting (PF) refers to IF with periods of fasting lasting from 2 to as many as 21 or more days for example, a 5-day 700-calorie fast or a 5-day 'water fast' conducted two or three times per year. All three of the above are able to significantly decrease weight, inflammation and improve metabolic profiles in all patients, whether you are overweight or not. All types of caloric restriction or fasting extends healthy lifespan, reduces risk factors for cancer and cardiovascular disease (the top 3 causes of death in Australia), and delays onset of age-related diseases, including cancer, type II diabetes, cardiovascular and neurodegenerative diseases such as Parkinson's and Alzheimer's. In response to decreased caloric intake, metabolic changes create health-promoting shifts in the body function, including increased insulin sensitivity and decreased blood glucose, decreased cholesterol and triglycerides, decreased inflammation and angiogenesis (the ability of cancers to develop their own blood supply). So what about fasting in cancer? Improve surgical outcomes: specifically tailored pre-operative fasting improves the gut microbiome and enhances recovery after surgery. 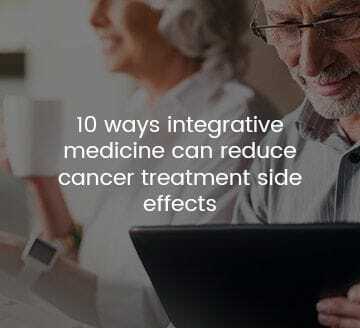 Reduce side effects and improve anticancer efficacy of chemotherapy and radiotherapy: certain types of fasting + exercise in the day of chemotherapy have been shown to significantly reduce the side effects of treatment as well as improve the effect and outcomes of treatment. Preventative care: IF can reduce risk of recurrence of hormone-sensitive cancers and other cancers. Reducing obesity in postmenopausal women with tailored fasting protocols decreases aromatase levels (the hormone that stimulates oestrogen elevations) and reduces inflammation two powerful drivers of hormone-sensitive cancer development: in fact, even just fasting for 13-16 hours per night significantly decreases risk of recurrence in breast cancer survivors. Tailored fasting programs also improve a process called autophagy the process where the body effectively eliminates damaged or abnormal cells. Poor or dysfunctional autophagy is a contributing factor to cancer development. Supporting healthy longevity: intermittent fasting improves cellular repair processes: there are body-clock related repair genes that can be switched on with tailored intermittent fasting protocols which is an easy way to reduce the risk of cancer. Is it safe in cancer care? The simple answer is that there is no simple answer. Fasting can be dangerous when conducted poorly, and the risks if a fast is not monitored and appropriately managed may include kidney damage, cardiac arrhythmias, changes to blood pressure, anaemia, fainting or dizziness and muscle wasting/loss. So don't do it yourself! It is important to get the right support from experienced practitioners to help fit the right fasting technique for your needs. Whether you are in active treatment, a survivor or just have increased genetic risk or family incidence of cancer, intermittent fasting might be helpful for you. Give us a call at MIOG and come in for a chat about whether it's right for you and if so, how to do it safely and effectively. About: Tanya is our lead clinician here at MIOG. She is a Naturopath with over 15 years experience in Integrative Oncology. She is also an experienced lecturer at tertiary level, and was a tutor for the Faculty of Medicine at Monash University.